The Saw Mill River was buried beneath the City of Yonkers at the beginning of the 20th Century. 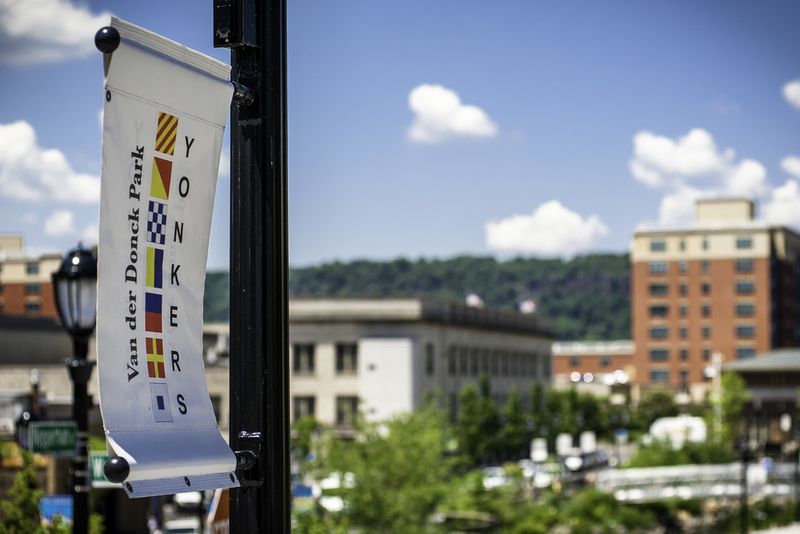 “Daylighting” the river, that is, returning the river to a more natural, open-air condition, provides many community and ecological benefits, and is itself an objective for the Yonkers plan for social and economic progress. 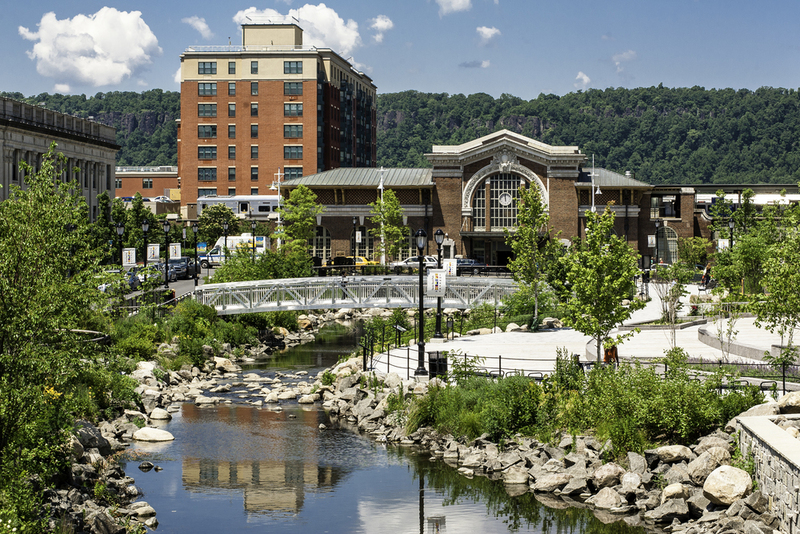 PS&S led a Project Team in creating a new urban river and park through the center of downtown Yonkers, New York. The River will experience a wide range of flows. Common to urban watersheds, peak flooding conditions can cause very serious concerns about flash floods. Additional issues that were addressed included tidal influence in the lower part of the river, water quality management, proximity to historic and community resources, and pedestrian and traffic circulation in this downtown plaza. PS&S created a winning solution for the Saw Mill River Daylighting challenge. Our design included daylighting of the river within a beautiful new urban park, featuring two dynamic pools and three strategic low waterfalls. The design will make the water attractively visible and audible throughout the year, including during potentially low-flow summertime conditions. The design also preserved the existing underground flume. Peak flows will be diverted to the flume to avoid potentially hazardous flooding in the new park, and make economical re-use of the existing, viable asset.